As of 1 July 2017, Martin Roll joined the board of directors of fast-growing Danish watch-making company ORLO Watches. In his new non-executive role, Martin Roll will provide guidance and governance to the two founders, the Group CEO and the global executive team. 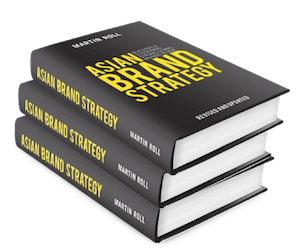 He will share his global experiences on how to build and sustain successful brands, and provide deep expertise on strategy, leadership, marketing, branding and retail management for premium products. Founded in 2016 in Copenhagen (Denmark) by Frederik Høltzel and Kenn Haagaard, ORLO was founded with a mission to create high quality watches with clear and strong design aesthetics. Steeped in timeless mid-century modern Scandinavian design principles, each and every ORLO watch is simple, minimal, functional and beautifully versatile. These design principles are adhered to in the conceptualization and innovation of all ORLO watches. ORLO’s mission is to redefine the long-established codes and conventions of the watch industry, by designing a selection of timepieces that keep up with the changing lifestyles of people. Driven by a strong entrepreneurial spirit, ORLO believes in creating future classics through integrity, uniqueness and honest designs. ORLO’s vision is to challenge the establishment by infusing innovation and entrepreneurship into its brand. Its goal is to challenge the norms and offer a meaningful product to the new generation of wristwatch lovers. With more than 25 years of experience in the watch and jewelry business, designer and watch maker Frederik Høltzel specializes in design and optical technicalities, designing and producing premium watches. Frederik Høltzel has worked for several Scandinavian and European watch brands before co-founding ORLO. The passion for watchmaking runs in the family as Frederik’s great grandfather Rasmus Jensen Jørgensen was a trained watchmaker in his hometown on the island of Tåsinge in Southern Funen, Denmark. Kenn Haagaard, the Group CEO of ORLO, has spent his entire career with premium brands, and worked in challenging strategy, marketing and operations roles. Before co-founding ORLO, he was the vice president of global marketing at Georg Jensen – the Danish premium lifestyle brand founded in 1904 by master silversmith Georg Jensen. Kenn Haagaard has served in similar management roles with Moët Hennessy (LVMH) and Carlsberg (premium beers). He has a background from Stanford University Graduate School of Business and Copenhagen Business School. ORLO is rapidly expanding its global brand presence and influence, and is establishing a strong market position with its price-value offering across several collections. With its simple and minimal watch designs, ORLO targets the new generation of people in modern societies who lead active, cultured and contemporary lifestyles. ORLO brings to the world its Scandinavian heritage, unique craftsmanship, distinct design principles and value-based products offerings.